Happy Monday! Almost time for the start of another month - hope this summer is treating you well (or winter, if you're reading this in the Southern Hemisphere). 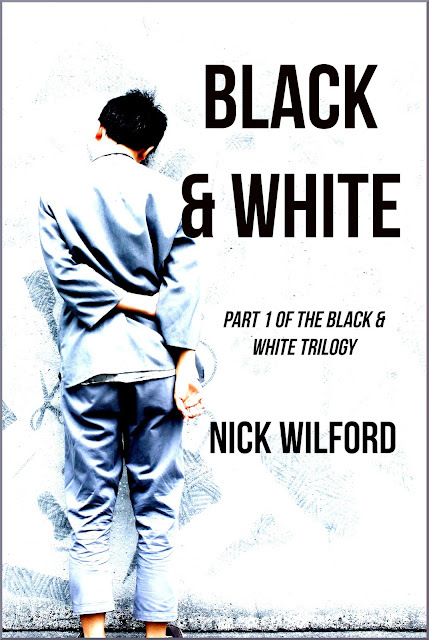 Today I'm proud to unveil the cover for Black & White, the upcoming first instalment in my YA dystopian trilogy. In other news, today is the closing day for entries to the Insecure Writer's Support Group anthology, Guide to Writing for Profit. Feel free to submit a piece! Here's some ideas about what to write. Share experiences about making a profit as an author, what it takes to become a successful writer, the many skills a writer needs to learn other than writing, share the experience going from hobby writer to published author (without making it a self-promotion piece), the fallacies behind writing for profit, the little known facts learned along the way, what you wished you knew when you first started writing, or marketing tips based on experience of what has worked and what hasn't. The only requirement is that you are a member of the IWSG bloghop, Facebook group or Goodreads book group. It's quick and easy to join any of these groups and membership has many benefits. Check further details here and submit! Congratulations on your upcoming release! That is a cool cover! I hope everything goes really well. It's a solid cover. It poses questions. Congratulations on your cover and your book soon to come. Awesome cover! I will be sure to share on Twitter. Congrats!! Awesome cover!! I remember really enjoying this :) If you want to do any promo on my blog, let me know!! Congratulations, Nick, the cover looks great, and the book sounds quite interesting! Did you design it yourself? I'd love to hear about how you put it together, conceived it, etc. Awesome! Sorry I've not written a review yet. I'll get on that tomorrow. Best wishes! I hope everything goes really well.